A fascinating and detailed accounting making an interesting and engaging read. Sandhill Pumping Station is a beautiful example of its kind. About a decade ago, South Staffordshire Water historian Chris Pattison sent me some scans of 1921 documents he found in the archives relating to the Shire Oak Brewery owner, Geroge Boulter, who was expressing concerns about the creation of the Sandhills Pumping Station and borehole, and the possible effect on the well the brewery used at the top of Shire Oak Hill. 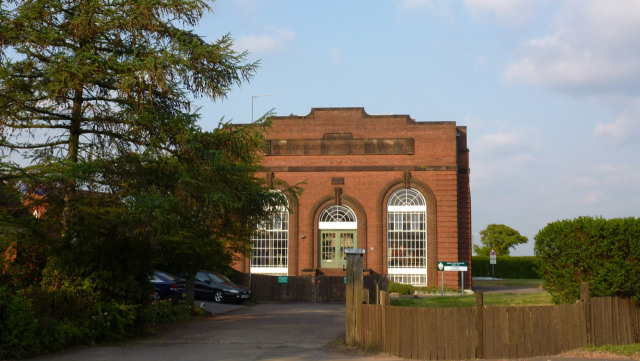 The Sandhills Pumping Station – built by the private concern of The South Staffordshire Waterworks Company in 1935 – still pumps fresh water to this day from two 400 foot deep boreholes drilled into the bunter pebble beds under Sandhills. The brewery stood behind the Shire Oak Pub, and has been exhaustively documented by historian Clive Roberts in his wonderful book ‘Snippets of Local History in and around Shire Oak’. I’m sure Clive will find this material interesting.